The Arab-Israeli conflict attracts a disproportionate amount of attention in the news media, international politics and law, and the socio-cultural sphere, despite the fact that numerous other inter-ethnic tensions have generated far higher casualties and involve more significant players on the global scene. This course examines the origins of the Arab-Israeli conflict in an attempt to place it in its historical context, while tracing its developments from multiple angles in order to provide a comprehensive understanding of the complex dynamic that constitutes ‘the conflict’. We will conclude the class by looking at several contemporary dimensions of the conflict, including the potent forces of radical and political Islam, the involvement of the Islamic Republic of Iran, and the continued evolvement of Israeli and Palestinian identities. This course represents a combination of a lecture and seminar approaches and individual participation in class dialogues is critical. Most classes include a discussion period for conversation about required reading. Each student will have the opportunity to present a brief review of a text, after which he/she will lead a discussion. At the end of this course, it is hoped that students will have not only a better understanding of the Arab-Israeli conflict, but have developed better research skills, practiced critical thinking and reading, and gained experience collecting and presenting information clearly. class participation (25%)—contribution to in-class and online discussions and attendance, critical to a successful experience (students with over three absences lose their entire participation grade; each additional two absences result in a letter-grade penalty off of the overall course grade), including also a discussion article presentation, where each student presents at least one required reading, emphasising its core argument and leading a class discussion about it. This division of factors aims to give all students a fair chance at a good grade by avoiding too much emphasis on one examination method. Nevertheless, since a large share of the grade (25%) derives from participation and the discussion presentation, this means that you must attend and participate in class to get a good grade. The key to good participation is reading the assigned texts, so come prepared! Morris, Benny. Righteous victims: A History of the Zionist-Arab conflict, 1881–2001. 1st Vintage Books ed. New York City: Vintage Books, 2001. Dowty, Alan. Israel/Palestine. 3rd ed. Malden: Polity, 2012. Said Aly, Abdel Monem, Shai Feldman, and Khalil Shikaki. Arabs and Israelis: Conflict and peacemaking in the Middle East. New York City: Palgrave Macmillan, 2013. Laqueur, Walter Z and Barry Rubin, eds. The Israel-Arab Reader: A Documentary history of the Middle East conflict. 7th revised and updated ed. New York City: Penguin Books, 2008. The following texts are recommended for those interested in doing further reading on the subject. These books are not required for purchase. Tessler, Mark. A History of the Israeli-Palestinian conflict. Indiana series in Arab and Islamic studies. 2nd ed. Bloomington: Indiana University Press, 2009. Readings from course textbooks appear in small caps. All other readings include full bibliographical citations and are available electronically on the class Desire2Learn website. It is highly recommended that you prepare in advance by downloading and/or printing all online readings at the beginning of the course, so that you can concentrate on reading them over the semester. While ‘recommended reading’ are not obligatory, they may be useful when preparing research papers (those with an asterisk (*) are highly encouraged). Primary source readings are noted below. Examine the class primer (always review relevant materials and bring the primer to each class). Bernard Lewis, Semites and anti-Semites: An Inquiry into conflict and prejudice (New York City: W W Norton, 1999), 42-57. Bernard Lewis, Semites and anti-Semites: An Inquiry into conflict and prejudice (New York City: W W Norton, 1999), 117-139. Raymond P Scheindlin, A Short history of the Jewish people (New York City: Oxford University Press, 1998), 1-49. Albert Hourani, A History of the Arab peoples, 2nd ed. (Belknap Press, 2010), 7-37. Said Aly, Feldman, & Shikaki, Arabs and Israelis. 7-12. Shlomo Avineri, The Making of modern Zionism: The Intellectual origins of the Jewish state, (New York City: Basic Books, 1981), 3-13, 73-87. George Antonius, The Arab awakening: The Story of the Arab national movement (New York City: Capricorn Books, 1965), 35-60. Bassam Tibi, Arab nationalism: Between Islam and the nation-state, transl. from German by Marion Farouk-Sluglett and Peter Sluglett, 3rd ed. (New York City: St Martin’s Press, 1997), 75-122. Muhammad Muslih, ‘Arab politics and the rise of Palestinian nationalism’, Journal of Palestine Studies 16.4 (Summer 1987), 77-94. C Ernest Dawn, ‘The Rise of Arabism in Syria’, Middle East Journal 16.2 (Spring 1962), 145-168. Neville J Mandel, ‘Turks, Arabs and Jewish immigration into Palestine, 1882–1914’, in Middle Eastern Affairs, ed. Albert Habib Hourani, vol. 4 (London: Chatto and Windus, 1965), 77-108. Yuval Ben-Bassat, ‘Conflicting accounts of early Zionist settlement: A Note on the encounter between the colony of Reḥovot and the Bedouins of Khirbat Duran’, British Journal of Middle Eastern Studies 40.2 (June 2013), 139-148. Dowty, Israel/Palestine, 12-21, 42-46, 60-71. Isaiah Friedman, ‘The System of Capitulations and its effect on Turco-Jewish relations in Palestine, 1856–1897’, in Palestine in the late Ottoman period: Political, social, and economic transformation, ed. David Kushner (Jerusalem: Yad Izhak Ben-Zvi, 1986), 280-293. Moshe Maʿoz, ‘Changing relations between Jews, Muslims, and Christians during the Nineteenth Century, with special reference to Ottoman Syria and Palestine’, in Jews, Turks, Ottomans: A Shared history, Fifteenth through the Twentieth Century, ed. Avigdor Levy, 1st ed. (Syracuse: Syracuse University Press, 2002), 108-118. Mim Kemal Oke, ‘The Ottoman Empire, Zionism, and the question of Palestine (1880–1908)’, International Journal of Middle East Studies 14.3 (August 1982), 329-341. Gershon Shafir, Land, labor and the origins of the Israeli-Palestinian conflict, 1882–1914 (Berkeley & Los Angeles: University of California Press, 1996), 187-220. * Israel Kolatt, ‘The Zionist movement and the Arabs’, in Essential papers on Zionism, ed. Jehuda Reinharz and Anita Shapira (New York City: New York University Press, 1996), 617-647. Yaʾakov Roi, ‘The Zionist attitude to the Arabs 1908–1914’, Middle Eastern Studies 4.3 (April 1968), 198-242. Neville J Mandel, ‘Attempts at an Arab-Zionist entente: 1913–1914’, Middle Eastern Studies 1.3 (April 1965), 238-267. Jehuda Reinharz, ‘The Balfour Declaration in historical perspective’’, in Essential papers on Zionism, ed. Jehuda Reinharz and Anita Shapira (New York City: New York University Press, 1996), 587-616. Said Aly, Feldman, & Shikaki, Arabs and Israelis. 12-16. Mayir Vereté, ‘The Balfour Declaration and its makers’, Middle Eastern Studies 6.1 (January 1970), 48-76. Mark Levene, ‘The Balfour Declaration: A Case of mistaken identity’, English Historical Review 107.422 (January 1992), 54-77. D Z Gillon, ‘The Antecedents of the Balfour Declaration’, Middle Eastern Studies 5.2 (May 1969), 131-150. Said Aly, Feldman, & Shikaki, Arabs and Israelis. 18-21. Tessler, History, 185-195, 210-218 (skim pp. 195-210, 218-233). Ran Aaronsohn, ‘Settlement in Eretz Israel—A Colonialist enterprise? “Critical” scholarship and historical geography’, Israel Studies 1.2 (Fall 1996), 214-229. Taysir Nashif, ‘Palestinian Arab and Jewish leadership in the Mandate period’, Journal of Palestine Studies 6.4 (Summer 1977), 113-121. Gershon Shafir, ‘Zionism and colonialism: A Comparative approach’, in The Israel/Palestine question, ed. Ilan Pappé (London & New York City: Routledge, 1999), 81-96. S Ilan Troen, Imagining Zion: Dreams, designs, and realities in a century of Jewish settlement (New Haven & London: Yale University Press, 2003), 62-81. Ran Aaronsohn, ‘Baron Rothschild and the initial stage of Jewish settlement in Palestine (1882–1890): A Different type of colonization?’, Journal of Historical Geography 19.2 (April 1993): 142-156. Said Aly, Feldman, & Shikaki, Arabs and Israelis. 15-18, 21-25. Avraham Sela, ‘The “Wailing Wall” riots (1929) as a watershed in the Palestine conflict’, The Muslim World 84.1–2 (January–April 1994), 60-94. * Morris, Righteous victims, 88-160 (especially pp. 128-160. Erik Freas, ‘Hajj Amin al-Husayni and the Haram al-Sharif: A Pan-Islamic or Palestinian nationalist cause?’, British Journal of Middle Eastern Studies 39.1 (April 2012), 19-51. Bernard Wasserstein, ‘Patterns of communal conflict in Palestine’, in Essential papers on Zionism, ed. Jehuda Reinharz and Anita Shapira (New York City: New York University Press, 1996), 671-688. Said Aly, Feldman, & Shikaki, Arabs and Israelis. 33-39. Joseph Heller, ‘“Neither Masada—Nor Vichy”: Diplomacy and resistance in Zionist politics, 1945–1947’, International History Review 3.4 (October 1981), 540-564. Anita Shapira, ‘The Concept of time in the partition controversy of 1937’, Studies in Zionism 6.2 (1985), 211-228. Amitzur Ilan, ‘Withdrawal without recommendations: Britain’s decision to relinquish the Palestine Mandate, 1947’, in Zionism and Arabism in Palestine and Israel, ed. Elie Kedourie and Sylvia G Haim (London & Totowa, New Jersey: Frank Cass, 1982), 183-209. Said Aly, Feldman, & Shikaki, Arabs and Israelis. 46-84. Benny Morris, The Birth of the Palestinian refugee problem revisited, 2nd ed. (Cambridge: Cambridge University Press, 2004), 588-601. * Morris, Righteous victims, 189-258 (skim pp. 223-245). Benny Morris, 1948: A History of the first Arab-Israeli war (New Haven: Yale University Press, 2008), 392-420. Benny Morris, ‘The Causes and character of the Arab exodus from Palestine: The Israel Defence Forces Intelligence Branch analysis of June 1948’, Middle Eastern Studies 22.1 (January 1986), 5-19. Avi Shlaim, ‘The Debate about 1948’, in Making Israel, ed. Benny Morris (Ann Arbor: University of Michigan, 2007), 124-146. Mordechai Bar-On, ‘Remembering 1948: Personal recollections, collective memory, and the search for “what really happened”’, in Making Israel, ed. Benny Morris (Ann Arbor: University of Michigan, 2007), 29-46. Avi Shlaim, ‘Israel and the Arab coalition in 1948’, in The War for Palestine: Rewriting the history of 1948, ed. Eugene L Rogan and Avi Shlaim (Cambridge: Cambridge University Press, 2007), 79-103. Rashid I Khalidi, ‘The Palestinians and 1948: The Underlying causes of failure’, in The War for Palestine: Rewriting the history of 1948, ed. Eugene L Rogan and Avi Shlaim (Cambridge: Cambridge University Press, 2007), 12-36. Efraim Karsh, ‘Were the Palestinians expelled?’, Commentary 110.1 (July 2000), 29-34. Maoz Azaryahu and Arnon Golan, ‘Photography, memory, and ethnic cleansing: The Fate of the Jewish Quarter of Jerusalem, 1948—John Phillips’ pictorial record’, Israel Studies 17.2 (Summer 2012), 62-76. * Alon Confino, ‘Miracles and snow in Palestine and Israel: Tantura, a history of 1948’, Israel Studies 17.2 (Summer 2012), 25-61. * Alon Kadish and Avraham Sela, ‘Myths and historiography of the 1948 Palestine War revisited: The Case of Lydda’, Middle East Journal 59.4 (Autumn 2005), 617-634. * Avraham Sela, ‘Arab historiography of the 1948 War: The Quest for legitimacy’, in New perspectives on Israeli history: The Early years of the State, ed. Laurence Jay Silberstein (New York City: New York University Press, 1991), 124-154. Benny Morris, ‘The New historiography: Israel confronts its past’, in Making Israel, ed. Benny Morris (Ann Arbor: University of Michigan, 2007), 11-28. Assaf Likhovski, ‘Post-post-Zionist historiography’, Israel Studies 15.2 (Summer 2010): 1-23. Said Aly, Feldman, & Shikaki, Arabs and Israelis. 85-117. Said Aly, Feldman, & Shikaki, Arabs and Israelis. 118-155. Michael B Oren, ‘The Revelations of 1967: New research on the Six Day War and its lessons for the contemporary Middle East’, Israel Studies 10.2 (Summer 2005), 1-14. * Michael B Oren, Six days of war: June 1967 and the making of the modern Middle East (Oxford & New York City: Oxford University Press, 2002), 305-327. * Fouad Ajami, ‘The End of pan-Arabism’, Foreign Affairs 57.2 (Winter 1978–1979), 355-373. Joel S Migdal, ‘Changing boundaries and social crisis: Israel and the 1967 War’, in War, institutions, and social change in the Middle East, ed. Steven Heydemann (Berkeley: University of California Press, 2000), 174-199. Charles S Liebman, ‘The Myth of defeat: The Memory of the Yom Kippur War in Israeli society’, Middle Eastern Studies 29.3 (July 1993), 399-418. Said Aly, Feldman, & Shikaki, Arabs and Israelis. 231-268. Kenneth W Stein, ‘The Intifada and the 1936-39 uprising: A Comparison’, Journal of Palestine Studies 19.4 (Summer 1990), 64-82. Mark A Tessler, ‘The Intifada and political discourse in Israel’, Journal of Palestine Studies 19.2 (Winter 1990), 43-61. Mordechai Bar-On, ‘Israeli reactions to the Palestinian uprising’, Journal of Palestine Studies 17.4 (Summer 1988), 46-65. Said Aly, Feldman, & Shikaki, Arabs and Israelis. 306-330. * Morris, Righteous victims, 611-651. * Said Aly, Feldman, & Shikaki, Arabs and Israelis. 269-305. Avraham Sela, ‘Politics, identity and peacemaking: The Arab discourse on peace with Israel in the 1990s’, Israel Studies 10.2 (Summer 2005), 15-71. * Said Aly, Feldman, & Shikaki, Arabs and Israelis. 331-396. * Khalil Shikaki, ‘Palestinians divided’, Foreign Affairs 81.1 (January–February 2002), 89-105. Raphael Cohen-Almagor, ‘The Failed Palestinian–Israeli peace process 1993–2011: An Israeli perspective’, Israel Affairs 18.4 (October 2012), 563-576. Ariel BenYishay, ‘Palestinian economy, society, and the Second Intifada’, Middle East Review of International Affairs 6.3 (September 2002), 42-52. Neill Lochery, ‘The Politics and economics of Israeli disengagement, 1994–2006’, Middle Eastern Studies 43.1 (January 2007), 1-19. * Said Aly, Feldman, & Shikaki, Arabs and Israelis. 397-406. * Barry M Rubin, ‘Israel’s new strategy’, Foreign Affairs 85.4 (July–August 2006), 111-125. Eyal Zisser, ‘The Israeli–Syrian–Lebanese triangle: The Renewed struggle over Lebanon’, Israel Affairs 15.4 (October 2006), 397-412. Jonathan Rynhold, ‘Israel’s fence: Can separation make better neighbours?’, Survival 46.1 (Spring 2004), 55-76. David Makovsky, ‘Middle East peace through partition’, Foreign Affairs 80.2 (March–April 2001), 28-45. Jonathan Spyer, ‘Lebanon 2006: Unfinished war’, Middle East Review of International Affairs 12.1 (March 2008), 1-13. Emanuele Ottolenghi, ‘Why Palestinians and Israelis are not ready for peace’, Survival 46.1 (Spring 2004), 41-54. Eyal Zisser, ‘Trends in Middle East politics and their implications for Israel’, Israel Affairs 12.4 (October 2006), 684-697. Hussein Sirriyeh, ‘Is there a Palestinian civil war? The Concept and the impact’, Israel Affairs 17.2 (April 2011), 247-258. Ronald R Krebs, ‘Israel’s bunker mentality: How the occupation is destroying the nation’, Foreign Affairs 90.6 (November–December 2011), 10-18. Yosef Kuperwasser and Shalom Lipner, ‘The Problem is Palestinian rejectionism: Why the PA must recognize a Jewish state’, Foreign Affairs 90.6 (November–December 2011), 2-9. Yossi Klein Halevi, ‘Can the center hold? Understanding Israel’s pragmatic majority’, Foreign Affairs 91.1 (January–February 2012), 168-172. * Said Aly, Feldman, & Shikaki, Arabs and Israelis. 406-441. Efraim Inbar, ‘Israel’s Palestinian challenge’, Israel Affairs 12.4 (October 2006), 823-842. Meir Litvak, ‘The Islamization of the Palestinian-Israeli conflict: The Case of Hamas’, Middle Eastern Studies 34.1 (January 1998), 148-163. Beverly Milton-Edwards, ‘The Ascendance of political Islam: Hamas and consolidation in the Gaza Strip’, Third World Quarterly 29.8 (December 2008), 1585-1599. Eyal Zisser, ‘Hizballah and Israel: Strategic threat on the northern border’, Israel Affairs 12.1 (January 2006), 86-106. Efraim Karsh, ‘The Long trail of Islamic anti-Semitism’, Israel Affairs 12.1 (January 2006), 1-12. * Yezid Sayigh, ‘Hamas rule in Gaza: Three years on’, Middle East Brief 41 (March 2010), 1-8. * Beverly Milton-Edwards, ‘Political Islam and the Palestinian–Israeli conflict’, Israel Affairs 12.1 (January 2006), 65-85. * Ziad Abu-Amr, ‘Hamas: A Historical and political background’, Journal of Palestine Studies 22.4 (Summer 1993), 5-19. Daniel Byman, ‘How to handle Hamas: The Perils of ignoring Gaza’s leadership’, Foreign Affairs 89.5 (September–October 2010), 45-62. Andrea Nüsse, ‘The Ideology of Ḥamās: Palestinian Islamic fundamentalist thought on the Jews, Israel and Islam’, in Studies in Jewish-Muslim relations, ed. Ronald L Nettler, (Chur, Switzerland: Harwood Academic Publishers, 1993), vol. 1, 97-125. Emmanuel Sivan, ‘Islamic fundamentalism, antisemitism, and anti-Zionism’, in Anti-Zionism and antisemitism in the contemporary world, ed. Robert S Wistrich (New York City: New York University Press, 1990), 74-84. Rouhollah K Ramazani, ‘Iran and the Arab-Israeli conflict’, Middle East Journal 32.4 (Autumn 1978), 413-428. Gawdat Bahgat, ‘The Islamic Republic and the Jewish State’, Israel Affairs 11.3 (July 2005), 517-534. David Menashri, ‘Iran, Israel and the Middle East conflict’, Israel Affairs 12.1 (January 2006), 107-122. Zeʾev Schiff, ‘Israel’s war with Iran’, Foreign Affairs 85.6 (November–December 2006), 23-31. * Trita Parsi, ‘Israel and the origins of Iran’s Arab option: Dissection of a strategy misunderstood’, Middle East Journal 60.3 (Summer 2006), 493-512. * Uri Bialer, ‘The Iranian connection in Israel’s foreign policy—1948–1951’, Middle East Journal 39.2 (Spring 1985), 292-315. Elie Rekhess, ‘The Iranian impact on the Islamic Jihad Movement in the Gaza Strip’, in The Iranian Revolution and the Muslim world, ed. David Menashri (Boulder: Westview Press, 1990), 189-206. Meir Litvak, ‘A Palestinian past: National construction and reconstruction’, History & Memory 6.2 (Fall–Winter 1994), 24-56. Yael Zerubavel, Recovered roots: Collective memory and the making of Israeli national tradition (Chicago & London: University of Chicago Press, 1995), 3-36. Mohammed S Dajani Daoudi and Zeina M Barakat, ‘Israelis and Palestinians: Contested narratives’, Israel Studies 18.2 (Summer 2013), 53-69. * S Ilan Troen, Imagining Zion: Dreams, designs, and realities in a century of Jewish settlement (New Haven & London: Yale University Press, 2003), 141-159. * Ahmad H Saʾdi, ‘Catastrophe, memory and identity: Al-Nakbah as a component of Palestinian identity’, Israel Studies 7.2 (Summer 2002), 175-198. Rashid I Khalidi, Palestinian identity: The Construction of modern national consciousness (New York City: Columbia University Press, 2010), 177-210. Tamar Hermann, ‘Zionism and Palestinian nationalism: Possibilities of recognition’, Israel Studies 18.2 (Summer 2013), 133-147. Said Aly, Feldman, & Shikaki, Arabs and Israelis. 442-459. Asʾad Ghanem, ‘The Bi-national state solution’, Israel Studies 14.2 (Summer 2009), 120-133. Ehud Yaʾari, ‘Armistice now: An Interim agreement for Israel and Palestine’, Foreign Affairs 89.2 (March–April 2010), 50-62. 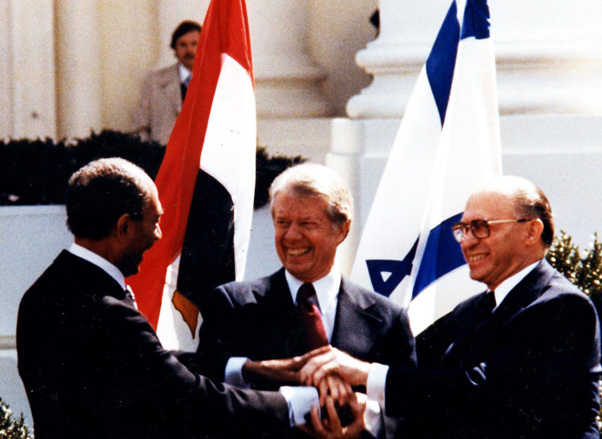 Ilan Peleg and Paul Scham, ‘Historical breakthroughs in Arab-Israeli negotiations: Lessons for the future’, Middle East Journal 64.2 (Spring 2010), 215-233. Howard Morley Sachar, ‘Enforcing the peace: How the great powers can resolve the Israeli-Palestinian impasse’, Foreign Affairs 90.1 (February 2011), 14-18. * Nathan Witkin, ‘The Interspersed nation-state system: A Two-state/one-land solution for the Israeli-Palestinian conflict’, Middle East Journal 65.1 (Winter 2011), 31-54. * Ghada Karmi, ‘The One-state solution: An Alternative vision for Israeli-Palestinian peace’, Journal of Palestine Studies 40.2 (Winter 2011), 62-76. * Rachel Fish, ‘Bi-nationalist visions for the construction and dissolution of the State of Israel’, Israel Studies 19.2 (Summer 2014), 15-34. Omri Arens and Edward Kaufman, ‘The Potential impact of Palestinian nonviolent struggle on Israel: Preliminary lessons and projections for the future’, Middle East Journal 66.2 (Spring 2012), 231-252. Robert M Danin, ‘A Third way to Palestine: Fayyadism and its discontents’, Foreign Affairs 90.1 (January–February 2011), 94-109.